Mr Rouhani won election by a landslide in 2013 on a platform of ending country's diplomatic isolation. ANKARA: Iranian President Hassan Rouhani, a pragmatist who engineered the country's landmark 2015 nuclear deal with world powers, registered on Friday to run for a second four-year term in the May election, state television reported. "Once again, I am here for Iran, for Islam, for freedom and for more stability in this country. 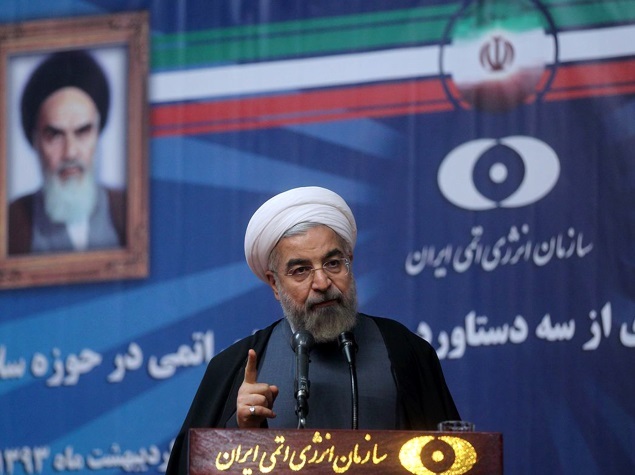 I am urging all Iranians to vote for Iran and for Islam," Mr Rouhani told reporters. He won election by a landslide in 2013 on a platform of ending the Islamic Republic's diplomatic isolation and creating a freer society, but faces a stiff challenge from conservative hardliners because of discontent over the economy. Influential Shi'ite cleric Ebrahim Raisi, the custodian of a powerful organisation in charge of Iran's holiest shrine, appears to be the leading hardline candidate. But despite months of talks, hardliners have been unable to unite behind a single candidate and Supreme Leader Ayatollah Ali Khamenei appears to have not yet intervened to make them do so. Within Iran's complex mix of clerical rulers and elected officials, Mr Khamenei has the final say on all state matters. An ally of Mr Khamenei, Mr Raisi also registered on Friday for the vote. But some prominent conservatives, including parliament speaker Ali Larijani, have thrown their support behind Mr Rouhani. Though Mr Rouhani won in a single round with more than 50 percent of the vote in 2013 when no other candidate took more than 17 percent, he could face a tougher campaign this time if hardliners join forces against him. Many Iranians have grown impatient with the slow rate of improvement in their economic fortunes since the lifting of sanctions after Iran curbed its disputed nuclear activity under its deal with world powers. The five-day registration period for the May 19 election began on Tuesday and will be followed by a process of vetting of the hopefuls by a hardline watchdog body, the Guardian Council. More than 950 people have signed up so far for the vote. Several former ministers and hardline former president Mahmoud Ahmadinejad are among those who have registered.